Q. I want to make my own flash cards. Is there an easy way to do that? 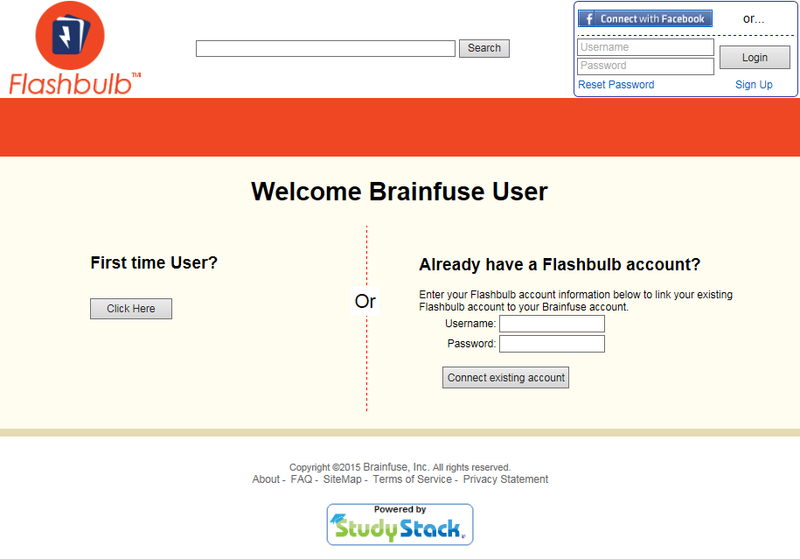 To create flash cards in the Online Tutoring Service (sometimes called Brainfuse), first go to the Online Tutoring Service (Brainfuse). 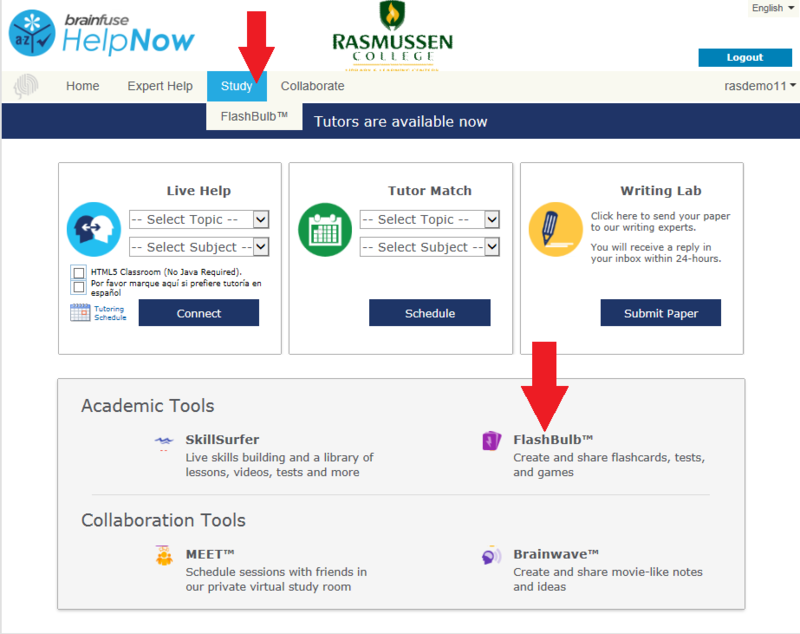 Within the Online Tutoring Service, click on the Study tab, and then click the FlashBulb area. From there, you can access an existing set of flashcards, organized by subject area, or you can create your own. To create flashcards, you will need to set up your own free account. Then create a new Flashbulb, which is essentially a stack of flashcards. You can select a category, which will allow other users to view and use your cards. If you do not wish for your cards to be available to others, select private as the category. Once a stack of cards has been created, you can interact with them in a variety of ways including both games and activities. Examples are hangman, matching, a quiz, or unscramble. This is a cool tool...It's Rasmussen's version of quizlet. by Carrie on Feb 13, 2018.